Here is a review from the Catholic Herald of the first of the series of books by the younger Roger Keyes defending the memory of King Leopold III. 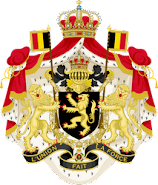 Although I have had an interest in Belgian history and an admiration for King Albert I since childhood, I had the usual negative opinion of his son as a weak ruler of doubtful loyalties until reading Outrageous Fortune: The Tragedy of Leopold III of the Belgians (1984) a few years ago. The elder Roger Keyes, a British admiral and former liaison officer in Belgium, was one of the most notable public figures to defend Leopold from the accusations of treason brought against him by French Premier Paul Reynaud and British Prime Minister Winston Churchill. Following the Belgian capitulation to the invading Germans on May 28, 1940, King Leopold was accused of surrendering to the Nazis prematurely, of failing to give the Allies due warning of his imminent capitulation, and of thereby causing the Allied disaster necessitating the evacuation from Dunkirk. Keyes, who had remained with the King throughout the bitter Belgian campaign, was in a position to know the truth of Leopold's surrender, and strove to disprove the allegations of treachery. 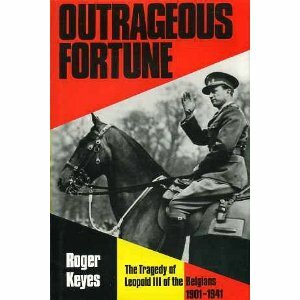 Out of filial piety and apparently sincere sympathy and admiration for a much-maligned monarch, Keyes' son and namesake continued the battle to rehabilitate Leopold after his father's death. In Outrageous Fortune, he contends that the King, far from betraying his allies, was cruelly betrayed by his allies and even by his own ministers. Some find his account to be too hagiographic, but I have seen a great deal of evidence from many sources, much of which I have shared on this blog, confirming his basic portrayal of Leopold as a decent, honorable man whose name was unfairly dragged through the mud. Roger Keyes has set about putting the record straight. He is highly qualified to do so. His father was a very distinguished British naval officer who, during the 1914-18 war, led the operation that blocked the main German submarine base on the Belgian coast at Zeebrugge. During the second world war, he contributed not a little to bringing down Neville Chamberlain's government and acted as Churchill's personal representative with King Leopold before becoming the founder of the Commandos. The author therefore had at his disposal his father's memories of the events concerned and a mass of hitherto unpublished material. Not content with this, he has clearly undertaken a major and very painstaking job of research into anything that might touch either on Leopold's personality or the details of Belgian politics — many of them sordid, which affected his position. Let it be said straightaway that Roger Keyes neither is, nor pretends to be, unbiased. In so far as he is concerned, Leopold was a strong, wise and good man who became the victim of a host of malevolent dwarfs, first among them Paul Reynaud, the French Prime Minister who ushered France into abject defect in 1940. This takes nothing away from the merits of the present volume, since a thorough vindication of Leopold's part in the Franco-British response to Hitler's intentions in the West was long overdue. And it lends interest in advance to the second volume of this biography, yet to be published, which will deal with the further troubles of the king as a prisoner of the Germans, his second marriage and the events that led to his abdication in 1951, when his wisdom and handling of events appeared much more questionable. Keyes hoped but never managed to write a third volume detailing Leopold's life after his abdication, a time of comparative joy and serenity, rich in scientific and humanitarian accomplishments. For those interested in this period, I can recommend Jean Cleeremans' Léopold III, homme libre: chronique des années 1951-1983 (2001).